"Conserve Energy. 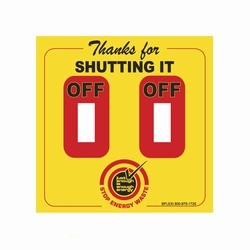 Turn off Electronics." 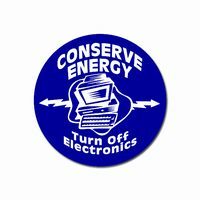 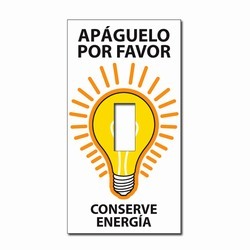 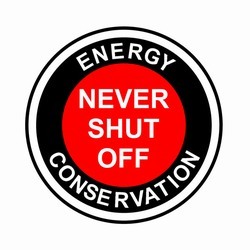 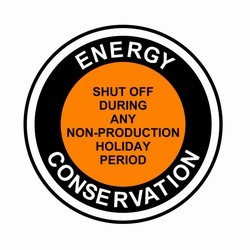 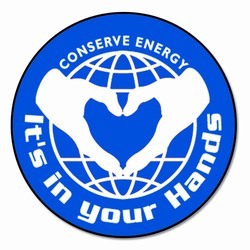 AI-edoth103 - 1 Color Conserve Energy It's In Your Hands Energy Conservation Vinyl Decal 2"inch Dia.